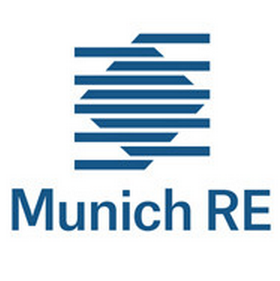 Global reinsurance firm Munich Re said yesterday that it anticipates falling to a loss in the third-quarter due to its losses from hurricanes Harvey and Irma, which suggests a loss to the company somewhere in the region of EUR 500 million to EUR 1 billion. The reinsurer also said it might fail to meet its full-year profit guidance as a result of the combined impacts of the hurricanes, although it stressed that at this stage both the market and Munich Re are unable to quantify the actual loss. Depending on what happens to year-end, Munich Re said it may not meet its profit targets for the year and that Q3 will likely show a loss. With an average quarter profit roughly EUR 550 million and last year’s Q3 over EUR 650 million, it’s expected by analysts that Munich Re will take somewhere up to EUR 1 billion of losses from the two storms combined. Munich Re has roughly EUR 1 billion of catastrophe budget left for the rest of 2017, according to analysts, so the impacts of the two hurricanes could leave the company in a position where any additional major losses, perhaps further hurricanes, would deplete its profitability even further now. Deutsche Bank analysts said this morning that they believe Munich Re will face a loss of at least the level it suffered from hurricane Sandy, which was EUR 800 million. Munich Re tends to have one of the highest loss figures from U.S. hurricanes, so it will be interesting to see how others report in the coming days and weeks. The size of the losses could mean that investors in Munich Re’s Eden collateralised reinsurance sidecars share in some of the impacts, as these provide the firm with retrocession as well as allowing it to earn fees from sharing its risks with institutional investors. The firm said it can offer its clients continuity though, as it has ample capital to keep delivering reinsurance coverage to them. 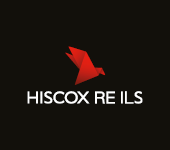 ← Older article Hurricane Irma insured industry loss $25bn: Karen Clark & Co.
Hurricane Irma insured industry loss $25bn: Karen Clark & Co.